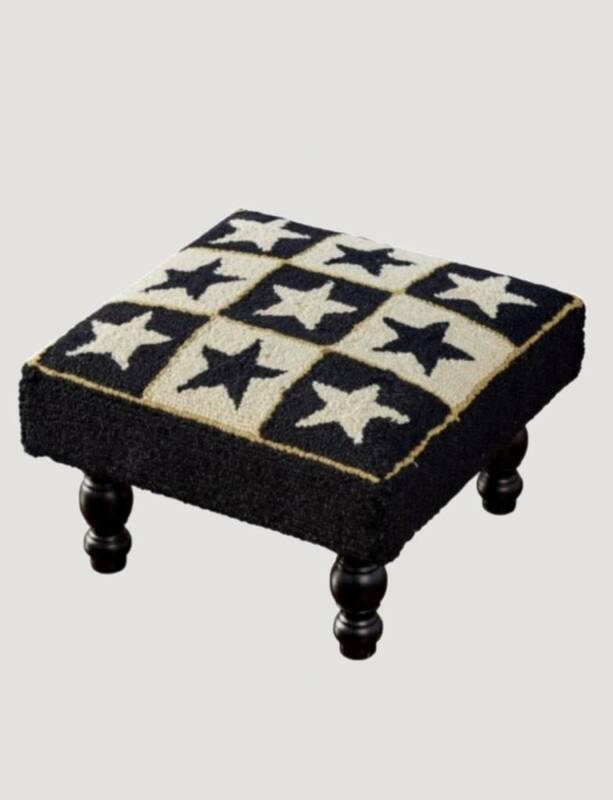 The beautiful Black Star Hooked Stool features a handcrafted technique . Made of poly loop yarn, each piece is hand hooked using an electronic gun. Many of the pieces feature space dyed yarns to create natural variations in color pattern. Thank you for choosing to shop with us and considering this Black Star Hooked Stool! 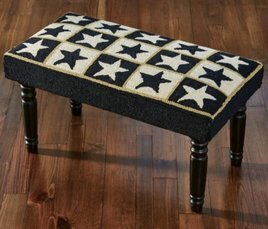 The bench is done in black and white with gold accents with space dyed yarns that create natural variations in the color patterns to give it the look found in the antique piece that inspired the design.